A new year often brings about a lot of new changes, both imagined and realized. For many people, their resolutions are grounded in the goal of becoming less stressed. This can mean exercising more, eating healthier, taking some time for oneself, taking up a hobby, or cleaning up the spaces around one. Your home is supposed to be your sanctuary, the place you go to get away from the stress and chaos. However, if your home is cluttered you’re unlikely to find solace in it. Here are some easy and effective ways to tidy your home, and keep it that way. The key to tidiness is to have a home for everything. When everything has its specific place there is no excuse to throw it aside and create piles. Attach shelves to open spaces on your walls. A hook-board can do wonders to keep coats, backpacks, and purses off the floor. Find a basket for mail, or even get more organized and separate mail into several baskets of degree of importance or recipient. If you designate specific spots for the items in your home you will avoid having to clean up endless clutter. A great way to not only declutter your home but also get rid of the items that tend to clutter it up is to give something away everyday for one year. It doesn’t matter how big or small, giving just one item away a day will free you up physically and allow you to let go of the items you’ve been holding onto for too long. This is a great way to pass along sentimental gifts to people or donate to charity. Combine a few New Year’s resolutions this year by freeing up your space and giving a little to others. A great way to get yourself motivated for a thorough household decluttering is to hold a garage sale. Gather up all those things you’ve been meaning to use or wear but have never gotten around to and sell them! Ask your family and neighbors to contribute things they want to get rid of too and make it a neighborhood affair. This project will help clean your house out, upcycle some used goods and appliances, and put a few bucks in your own pocket. 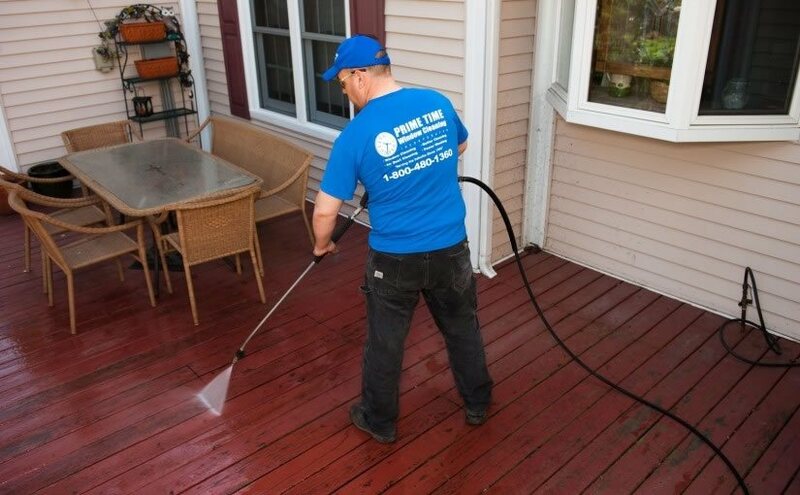 So pressure wash that driveway, clean out those closets, and get ready to set up shop! 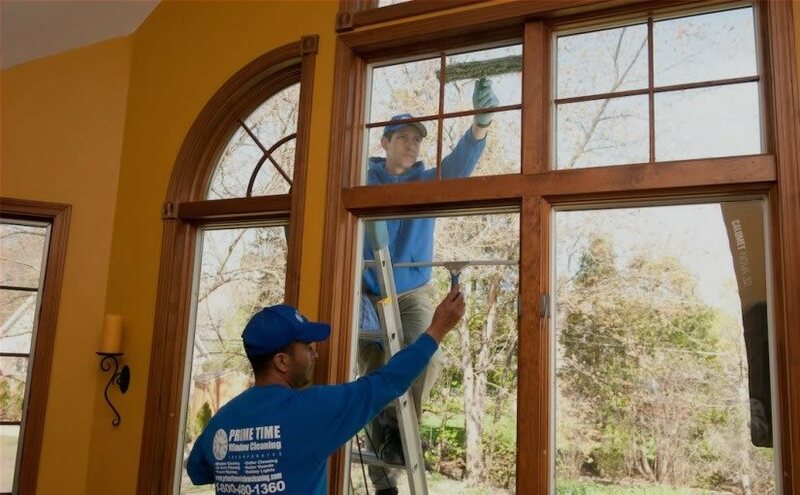 Decluttering doesn’t have to stop at getting rid of mess, go all the way with a household window cleaning and pressure wash from Prime Time Window Cleaning! We provide professional home maintenance services to help you get your home back to its original condition. Call today to schedule an appointment!